2018 marks 350 years since the birth of the French composer Francois Couperin (1668-1733). Chetham’s School of Music are delighted to team up with the Early Music Shop for the fourth consecutive year, along with Windstruments and Powell-Buffett-Crampon, to mark this occasion with a project of dynamic music from the French Baroque. Chetham’s students give regular baroque recitals in the medieval Baronial Hall, introducing young musicians to period music and instruments and inviting audiences to enjoy ancient music in this unique historic setting. 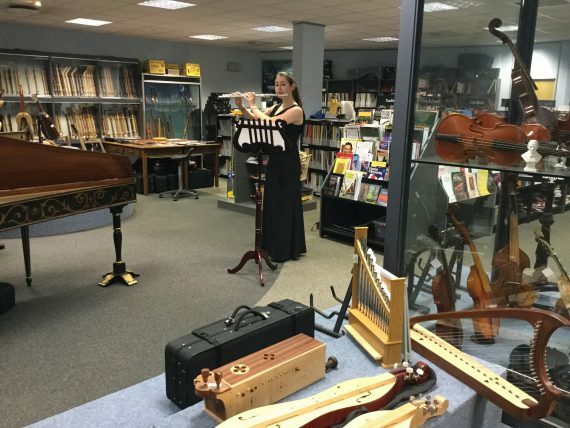 Since 2014, the baroque programme has been enhanced through a collaboration with the Early Music Shop, which has seen performances take place at Greenwich Early Music Festival, in Manchester and Saltaire, alongside outreach work in neighbouring schools. The French baroque project planned for 2018 will see Dr Martyn Shaw, together with Christopher Orton and Helen Francis, direct Chetham’s students through works by some of the French-Baroque masters including Couperin, Rameau, Marais and Hotteterre. Highlights will include a concert at the University of Huddersfield on Tuesday 6 March 2018, in which the audience will be treated to a performance of the celebrated chamber version of Rameau’s Pieces de Clavecin, and Charpentier’s Te Deum. Chetham’s musicians will also perform a programme of French chamber and cantata works in the school’s historic Baronial Hall on Wednesday 7 March. Alongside recitals, project members will learn to engage with period instruments, develop a stylistic awareness of the genre, and share this knowledge with local school children through Chetham’s flourishing outreach department. Book for the March concert in Manchester now. Further details of performances will be added to the website when they are announced.